Interview With Andrew Klavan | What Would The Founders Think? 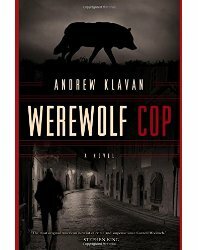 I recently finished reading Werewolf Cop and thought it might be fun to talk to the author about it. The folks at Pegasus Books kindly arranged for the author to answer a few questions. Andrew Klavan: Well, thank you, and thank you for discovering me. I would’ve wandered around aimlessly for years otherwise! I work a long day, which helps me get a lot done. I tend to organize my days in three work sessions of about four hours each. I usually work on a different project in each session. Often, the longest project gets the morning session — so that’ll be a novel or a screenplay or something. Because the videos are comic, they take a lot of honing and refining. You have to write them and leave them alone and come back to them and cut them and then do that again and again, so I have to fit that in. I’m really glad you enjoy all of them because I enjoy doing all of them too. Martin: There is a lot of “message” in your books. How have your different outlets complemented and informed each other? Andrew Klavan: Good question. I don’t actually think of my books as having messages. I think of them more as describing reality truthfully whereas a lot of people describe it falsely — which, by the way, is a much better career move! For instance, I have had people call me a moralist because my characters wrestle with good and evil, experience guilt and shame and so on. But everyone knows good and evil and guilt and shame are real. The moral relativists who say good and evil are not real — I guess they think it makes them sound tolerant or profound or something. But to me, it’s just plain lying because they know better. So I refuse to echo the lie. To answer your question, though, writing non-fiction helps to clarify your view of reality so that when you go to write fiction you can portray that reality in action. Martin: Do you ever get push back, or nasty grams from readers who don’t like this? Andrew Klavan: Oh yeah. All the time. Reviewers, readers. You can crank out absolute blithering nonsense about global warming and feminism and get crowned king of Fantasy Land, but point out that the moral universe exists and people show up at your house with torches and pitchforks. It’s what makes life so amusing. Martin: In Werewolf Cop the hero is a werewolf (no spoiler there), and as a cop – he’s a good guy (although not all your cops are good guys). How did you come up with essence of werewolf-ness? It seemed like the wolf was equal parts predator and malignant monster. Was the wolf persona just a magnification of Zach’s own character – good and bad? Or did you think of it as an imposed alter-ego? Andrew Klavan: I saw in your review that you quoted St. Paul saying, “For the good that I want to do, I don’t do, and the evil I don’t want to do, that I do.” Bingo. That to me is the essence of the wolf right there. The horror of the werewolf is different from other horror because it emanates from the monster not from the victim. The horror of the werewolf story is the moral horror of a good man waking up with innocent blood on his hands. What could be more horrific than that? Andrew Klavan: I’m undecided. I wanted to do a trilogy of books that did not necessarily take up the same story but took place in this world and fleshed it out. I still may do that, but I have some other projects I have to finish first. Martin: I know you just published this one, but what’s your next project? Andrew Klavan: I’m working on a memoir about my 35-year-long conversion from secular Judaism to Christianity. I’ve actually got a very strong first draft but it’s too long, I have to cut it, and that’s next up. I would love to read your memoir about your 35-year-long conversion from secular Judaism to Christianity. It sounds like Thomas Merton’s Seven Storey Mountain, which only sold well over a million copies! No pressure here but when’s the ETA?